Attorney Richard Griffin founded the Griffin Law Firm, P.C. in 1995 to exclusively handle personal injury, wrongful death, workers’ compensation, and Social Security Disability claims. 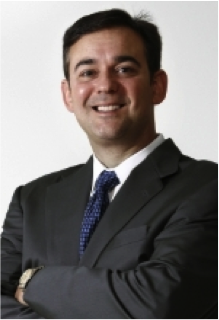 Attorney Griffin manages the firm and is the Director of the Personal Injury Department. He has been a member in good standing with the State Bar Association of Georgia since 1994. Attorney Richard Griffin has focused his entire legal career on helping injured and disabled people with their personal injury, workers’ compensation, and Social Security Disability claims. The Griffin Law Firm was created to build of team of legal professionals to provide excellent legal representation. Attorney Richard Griffin knows that it takes great customer service, outstanding legal and ethical abilities, and a lot of hard work to help people get the recoveries they need and deserve. What is Richard Griffin about? 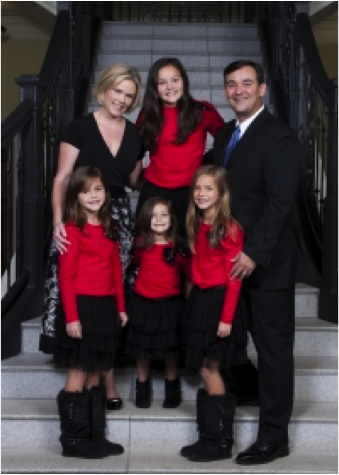 Attorney Richard Griffin has a deep love of family and friends and loves to help other people. 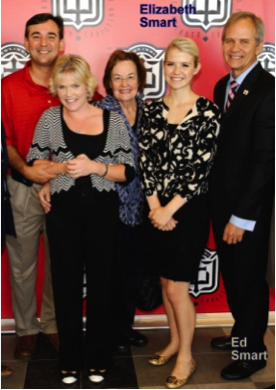 He and his wife, Beth, have been blessed with four beautiful daughters. Richard Griffin knows how important your family is, and how critical it is to be able to love, support, and provide for them. Richard uses his law firm to help injured people and their families recover when someone’s negligence causes serious injury or death. Law School – Georgia State College of Law: Attorney Richard Griffin earned his Juris Doctor from Georgia State College of Law in 1994. His focus in law school was on personal injury (tort), workers’ compensation, Social Security Disability, and civil litigation. He was elected president to the Student Trial Lawyers Association and was a finalist in a Georgia Intrastate Mock Trial Competition. He also gained invaluable experience as a intern at the State Board of Workers’ Compensation during his 3 year in law school. His focus remained consistent throughout his law school education on advanced trial skills in the areas of injury and disability claims. College – Emory University: Richard Griffin graduated from Emory University in 1991with a Bachelor of Arts in Political Science and education. He is also certified to teach 7th through 12th grade social studies. He was an officer in many organizations while attending Emory. College – Oxford University, England: Richard Griffin studied abroad at Oxford University in 1989. The focus of the study was British education and political science. High School – Greater Atlanta Christian School: Richard Griffin graduated from Greater Atlanta High School in Norcross, Georgia in 1987. He enjoyed playing varsity basketball and tennis while attending high school. History, social studies, and science were some of his favorite subjects. He also developed his public speaking skills as well. Non-Legal Activities: Outside the court room, attorney Richard Griffin enjoys coaching his children in many different sports. He is very active in his church and has served as a deacon, as well as, a committee member on the Finance Counsel, Nursery Renovation Committee, and the Charter School Committee. 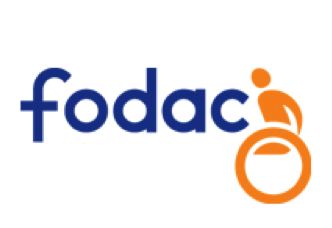 Richard Griffin is also active in many other charities such as FODAC (Friends of Disability Adults and Children) who refurbish and re-distribute wheelchairs and other medical equipment needed by disabled adults and children. This charity is especially unique because they convert every dollar donated into $10 of medical equipment for disabled people who need it the most.